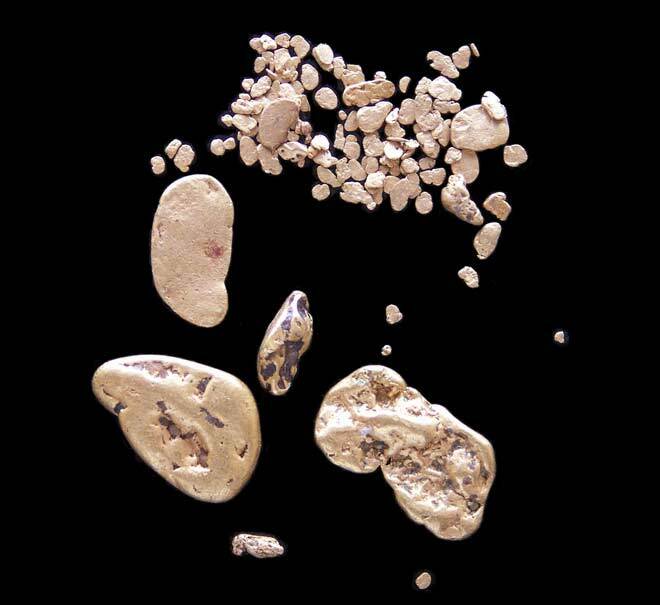 These gold nuggets have been mined from river gravels in Otago. The gold has been beaten by boulders in flood waters, then folded back over countless times to give these flattened shapes. Dark impurities visible in the larger nuggets are black mineral sands (possibly magnetite) and the lighter impurities are quartz grains.